Various non-automatic weighing instruments, automatic weighing instruments. All kinds of scales, balance, weighing system, indicator, load cell, weights, testing instrument and device, electronic component and materials used in weighing instrument. InterWeighing is an international weighing industry expo organized by China Weighing Instrument Association (CWIA) once every year. It is the largest trade show specializing in weighing industries in the world. InterWeighing was held successfully in 1995, 1997, 1999, 2001~ 2018. The scope and contents of InterWeighing are various non-automatic weighing instruments, automatic weighing instruments, all kinds of scales, balance, weighing system, indicator, load cell, weights, testing instrument and device, electronic component and materials used in weighing instrument. Lots of well-known manufacturers as exhibitors participated in these exhibitions. Many professional visitors and buyers from Asia, Europe, America, Oceania and Africa visited the InterWeighing. These exhibitions won good reputation which further promotes multilateral international exchanges and co-operations in the fields of weighing economy and technology. Also the highlights of seminar, technical exchanges and trade talks hold during every exhibition period. 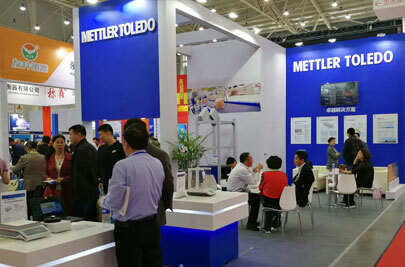 The InterWeighing2018 on 18 - 20 April, 2018 at Wuhan, China was a resounding success. A total of 295 exhibitors, who were from 22 provinces in Mainland China and from the United States, Germany, Netherlands, UK, Finland, Spain, Italy, Turkey, Japan, South Korea, India, and China Taiwan & Hong Kong, enthusiastically participated in this exhibition. 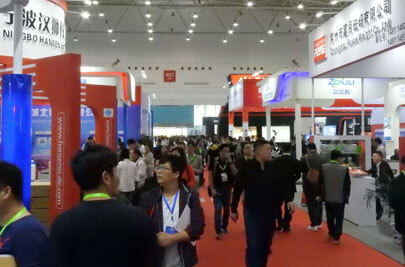 The exhibition area of this fair was over 18,000 square meters. We look forward to repeating that success at the InterWeighing2019, but in the meantime, you can review the 2018 event through the link of InterWeighing2018.